If you think moving house is stressful, try moving a vegetable garden. I’m doing it meal by meal. Every day I commute to the city for work. Every night, I whip back to my old garden, harvest dinner, and head home to Hunua to cook it. If only I’d been a Boy Scout instead of a Brownie. I should have been prepared. I should have started my new vege patch months ago, because it’s slim pickings on the farm. We’ve got broccoli, Brussels sprouts, cabbages, cauliflower, celeriac and leeks. Or at least we will have in three months. The only things ready to harvest now are rosemary, pumpkins and Hungarian Hot Wax peppers. And, if that’s not bad enough, the chickens have gone off the lay. Meanwhile, back in the city I’ve got ripe ‘Granny Smith’ apples, red cherry guavas, chickpeas, spring onions, ‘Canasta’ and ‘Cos’ lettuce, rocket, eight rows of heirloom beetroot, Tuscan kale, Desiree potatoes, kumara, quinces, half a bed of mint, Italian parsley, lemongrass, purple sage, onions, alien-like kohlrabi, cayenne chillies, an enormous crop of Jerusalem artichokes, silverbeet, native and red-stemmed spinach, colourful Swiss chard, six types of thyme, red cabbages, giant red mustard, ‘Fire Candle’ radishes and two rows of turnips. 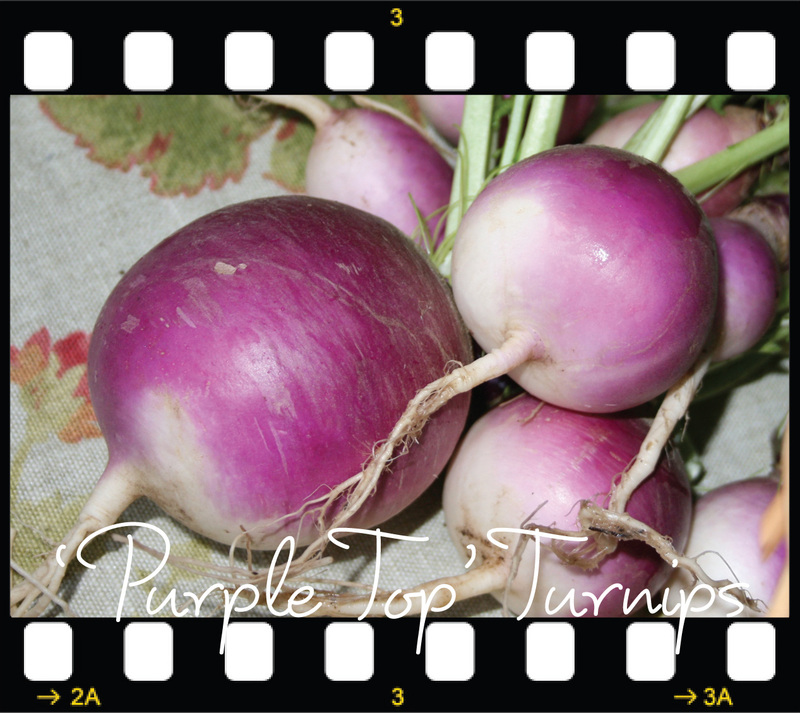 I planted two types of turnips: ‘Purple Top White Globe’ (from Yates) and ‘Tokyo White Cross’ (from Kings Seeds). The purple ones are an astonishing shade of psychedelic lilac-pink, while the white variety is a marvellous miniature turnip that’s ready to harvest in as little as 30 days in summer, or 45 days in autumn. For the best flavour, pick baby turnips when they’re the size of ping pong balls, then simply wipe clean and steam. Serve whole with white sauce or glaze with orange juice and brown sugar and chuck them in with your roast. The only problem with turnips is that they stink out your house when you cook them. They smell earthy, and not in a good way. More in a musty, leaky building sort of way. If you’re cooking them for guests, do it in advance and no one will be any the wiser. Most people dismiss turnips as stock fodder, but I went to a dinner party last weekend where the hostess served turnip wedges poached in red wine with honey and red wine vinaigrette (the recipe’s in Mario Batali’s new book Molto Gusto). I was the only one who guessed what they were. Self Sufficiently Lynda is published each week in Sunday magazine in the Sunday Star Times.